Is Swapping School for Travel Good for Kids? For years Natalie Tuck had dreamed about taking her 8 year old son out of school and hitting the road. One day she decided to do just that and has recently returned from what she described as an epic road trip. Taking a break from work (and school) the Tuck family travelled around Australia in their vintage camper trailer. Although the idea of taking her son out of school was scary, Natalie and her partner decided life on the road would also be an educational experience for the 8 year old. The eight-week road trip began in chilly Melbourne and the Tuck’s warmed themselves along the way, travelling up the east coast of Australia as far as Airlie Beach. 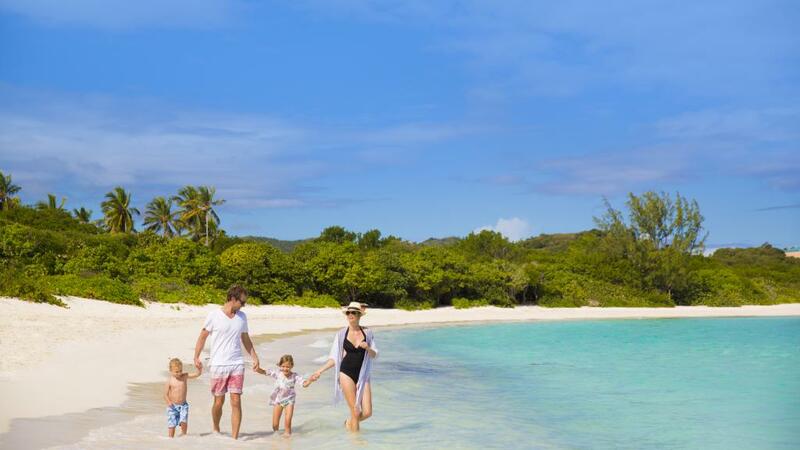 The family hired a catamaran and sailed the Whitsundays for eight nights, went 4WDing on Fraser Island and had sunset sessions in some of the most beautiful spots in Australia. They had the pleasure of staying at Hamilton Island, Airlie Beach, Yeppoon, the Gold Coast, Byron Bay and more. However it isn’t just the stunning destinations that had Natalie praises. Swapping school for travel was an incredible positive experienced that changed everything she thought she knew about travelling with kids. Perhaps the biggest surprise was not only how much her son learnt, but how much Natalie also learned from him. Natalie says it’s natural to worry about your kids’ education but that travel is an especially educational and self-defining journey that opens you up to experiences that far outweigh anything that can be taught in a classroom. In fact, the long stretches of driving that are part and parcel of a road trip are the perfect opportunity to practice times tables, vocab exercises and any other subjects and skills that teachers focus on. Print outs are also great to have on hand, they help to break the time up and provide some brain food on the road. Life on the road and the interesting encounters that it creates can inspire a never-ending supply of curious questions from kids. Be patient, this is a great thing. Of course you can’t know the answer to everything, and thanks to the internet age you don’t have to. The power of a global search engine is no match for all sorts of curly questions. Not to mention, thanks to Google Maps when that age old questions arises – are we there yet? – you’ll know exactly how far away you are from your destination. There’s always something new and interesting happening on the road and you’ll be surprised by how many new and unique skills you pick up along the way. Natalie says that sailing around the Whitsundays helped the family to learn all about the tides, wind speed and direction, chart navigation and more. There were also plenty of opportunities to interact with an abundance of wildlife including kangaroos, turtles, sea eagles, pelicans and more. Travelling teaches kids that the word is exciting and expansive and there is so much more to life than just them and their own suburb, town, city or classroom for that matter. Natalie encourages other parents to be brave, be bold and to take their kids on the road. While it may be scary at times, it’s so much fun and it is time spent together making memories that will last a lifetime.